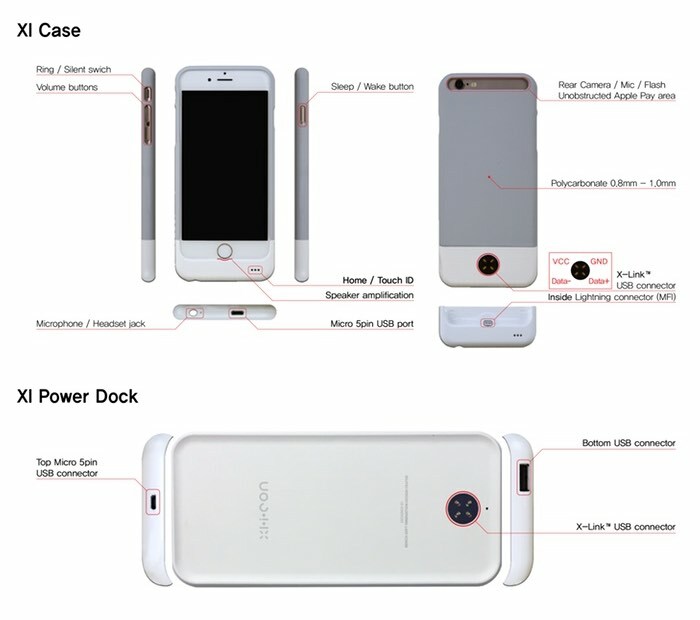 iPhone 6S users that find their battery requires a little topping up to make it through the day may be interested in a new external battery and charging system called Xl.i.CON that has been designed by Andrew Lim. The iPhone 6S battery case includes a 4,500 mAh Li-Poly Battery and uses battery management technology together with a magnetic charging connection when docked with the desktop charger. Imagine if you had another port on your iPhone, other than your lightning port, to sync, charge at 2X speed, and connect to other smart devices?? What would you do with 2-times the functionality of an iPhone port? Xl.i.CON is a a wireless syncing and charging magnetic dock that also acts as a portable battery for your iPhone 6, 6 Plus, 6S, 6 S Plus. Discover the magic of X-Link technology! 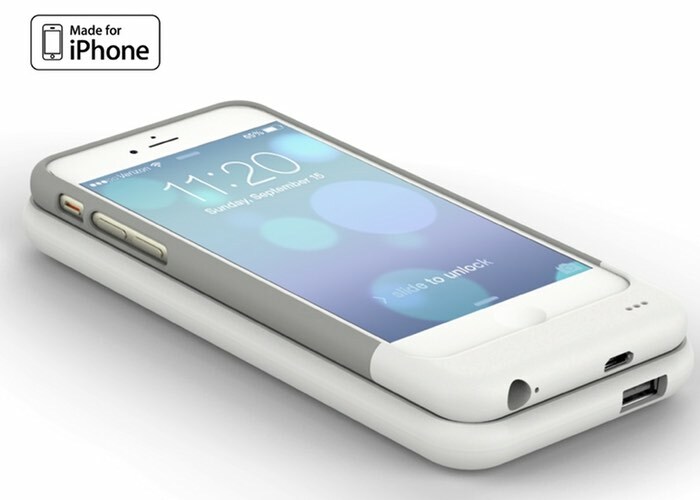 Xl.i.CON’s case shape was designed so that when you grab it, it’ll feel like you’re grabbing a caseless iPhone. The case consists of a top and bottom piece that connect towards the lower part of the phone and matches the rounded curves of the current iPhones. We definitely took size into consideration and the case only lengthens your phone by 1 cm for the USB port. Xl.i.CON Case and Power Dock are both made with Polycarbonate and Polyurethane. Knowing that iPhone users are very protective of their phones, we chose this material because it is highly durable. Not only does Polycarbonate offer great protection from impact but also has heat-resistant properties. Polycarbonate also has non-slip properties preventing Xl.i.CON from slipping from you hand or desk. The Xl.i.CON project is currently over on the Kickstarter crowd funding website looking to raise $30,000 in pledges to make the jump from concept to production. So if you think Xl.i.CON is something you could benefit from, visit the Kickstarter website now to make a pledge and help Xl.i.CON become a reality.